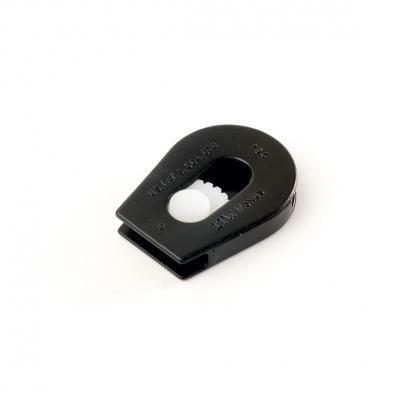 The Cord Lock cord closures have become standards for a multitude of cord fastening applications. They are durable and suitable for uses involving exposure to the elements and extremes of temperature. Bodies and wheels supplied separately. Easily operated with gloved hands.